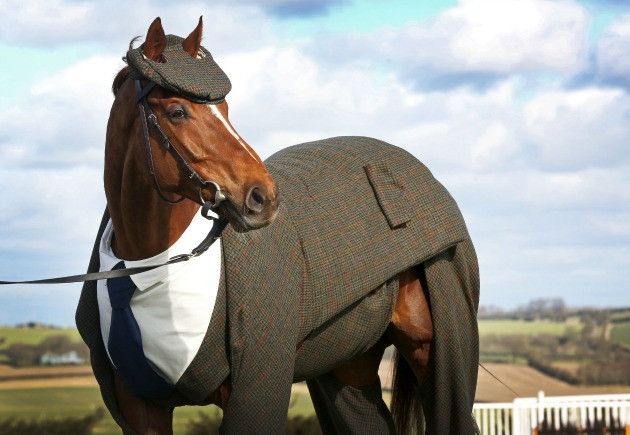 Someone dressed a race horse up in a three-piece Harris Tweed suit. 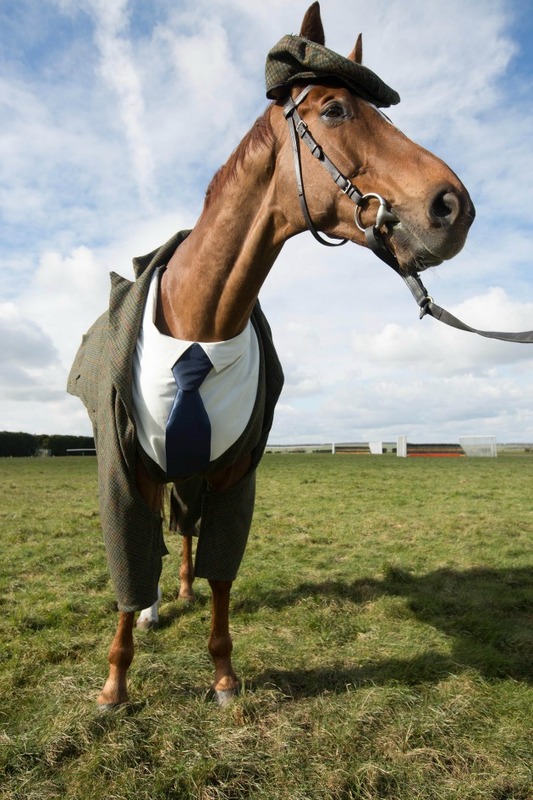 Do you love horse racing but find the animals’ casual style of dress to be offputting? Well consider your problem solved thanks to England’s famed Harris Tweed cloth. In honor of the upcoming Cheltenham Festival races, British oddsmakers William Hill teamed up with designer Emma Sandham-King, who made clothes for humans as an apprentice for Alexander McQueen, to craft a three-piece suit for the racehorse Morestead. Morestead was joined by Sir A.P. McCoy, who has won 31 races at the annual festival and who donned a matching suit for the spread. 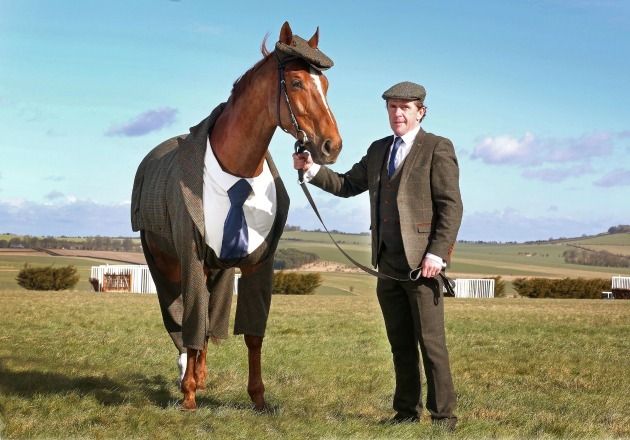 Don't @AP_McCoy & his pal Morestead look dapper in their tweed suits as they get #CheltenhamReady? 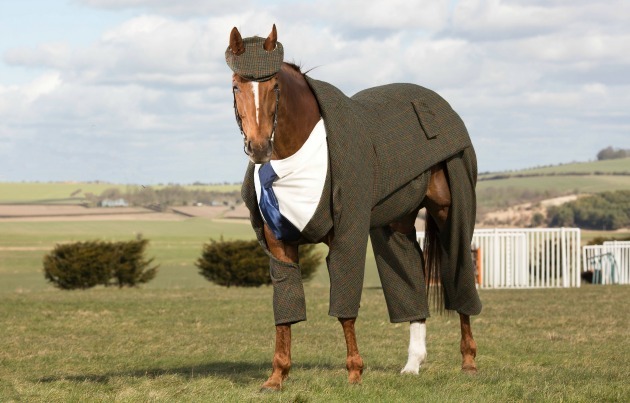 Honestly, the horse looks pretty great in this suit. Someone needs to get American Pharoah a tuxedo ASAP.